UR Connections is the University’s campaign to promote the use of transportation alternatives that assist in reducing commuting costs for employees, reducing campus congestion, and promoting the sustainability efforts for the University of Rochester and our community. 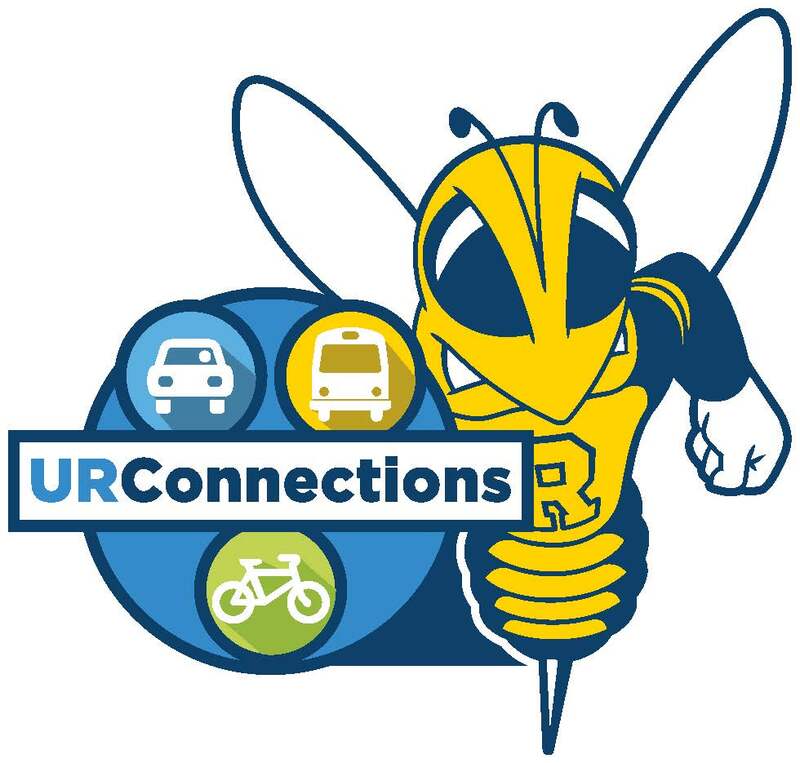 Whether you get connected around and between campuses with the University’s shuttle fleet, get around town when you need to with ease with Zipcar or hop a safe, convenient taxi ride when you need one, UR Service Connections get you to your destination. Get connected around and between campuses with the University’s shuttle fleet, which offers convenience and gas savings. Pick up a schedule or find student and employee routes online. You can even book a shuttle for special events with our charter request form. Save with our UR Commuter Connections – Hop a RTS bus and save money with $1 fares, team up to commute or join a larger ride sharing group or save through Zimride van rental. Hop on a bus and save money with $1 fares. Use the RTS trip planner to find your route and view/download bus schedules at www.myrts.com. Track your bus in real time online or through the smartphone app. The parking office offers 1, 5 or 30 day unlimited passes, or singles for $1. Reduce fuel expenses, vehicle wear and tear, and your carbon footprint by teaming up for your commute. Join a carpool! We help match you with other carpoolers and by ride sharing, you get premium parking, a guaranteed ride home, occasional permits, and you can save 50%, 75%, or even get a FREE parking permit (4 riders or more). With UR Healthy Connections, Well-U offers a variety of FREE programs that connect University employees with better health. You can pedal past the pump and improve your health while saving on transportation or walk to class, work or meetings for heart, lungs and circulatory system benefits. We offer free bike racks throughout our campuses, or purchase a space in a bike cage or locker. You can even get access to showers to freshen up after you arrive. Find Medical Center and River Campus maps with bike rack locations, bike trails, and more online. Heart disease is this country’s No.1 killer, but by exercising for as little as 30 minutes each day you can reduce your risk. That’s what the American Heart Association’s start walking movement is all about. You’ll decrease your risk of stroke, reduce your cholesterol, and lower your blood pressure. Countless people across the country are jumping on board. Join them. Get walking and start taking a more active role in your health! Walk to class, meetings or work. Sign up for a Walking, Biking, Carpool or Public Transportation Bundle, by registering your vehicle in our Occasional Parking Program and save! The Occasional Parking Program supplies 26-drive-alone passes to park a personal vehicle on campus in a designated lot. (The Parking Office will inform you of which lot you will be assigned to). If you are assigned to a “gated” lot. your Occasional Parker AVI tag will raise the gate (and deduct 1 pass from your allotment of 26). Once in the lot, be sure to clearly display your Occasional Parking Permit hang-tag. If you are assigned to a “non-gated” lot, once parked in the lot, fill in the date and month on 1 of your 26 permit passes. Be sure to clearly display your Occasional Parking Permit on your dashboard. To learn more about the Occasional Parking Program, visit our parking office or contact us.